A lot has changed since I originally wrote this article in 2015. Some equipment is better, some is worse, and plenty of new options exist. Hopefully, this update will help you determine what equipment will best fit your needs. Choosing the right podcast equipment can be incredibly frustrating and confusing. Many podcasters suggest poor equipment and setups that don’t fit your needs. How many people will be on your podcast? To begin, let’s take a broad look at how you can record. Audio quality might be poor. They may take control of your advertising. For reasons like these, I do not recommend using free options. There are two primary ways you can record: either straight to your computer using software or using external devices (hardware) like a digital recorder and a mixer. How you record will also determine your pre-production (what you do before recording) and post-production (what you do after the recording) workload. Many people record themselves and their interview guests or co-hosts digitally using software like Audacity, GarageBand, Pamela for Skype, Ecamm, or Zencastr. These software and services range from free to monthly subscriptions and can work great. However, I don’t use or recommend computer software-based recording either. It’s more prone to bad audio and less dependable than hardware solutions. (Physical) digital recorders are dependable. They record via a microphone input directly onto an SD card. At the time of this writing, I’ve recorded close to 300 episodes with my digital recorders and have never lost a file. Computers and software are more likely to have corrupt files, errors, or other technical issues. I recently tested out an online recorder and lost a podcast interview due to “technical issues” within the first three times of using it. Fortunately, I was recording the interview with my digital recorder as a backup! Any type of failure is completely unacceptable. I’ve had amazing interviews over the years with people like Andy Crestodina from Orbit Media and Joanna Wiebe from Copyhackers. Think of your favorite interview. Now, imagine you lost it due to a computer or software issue. That’s not something worth risking. 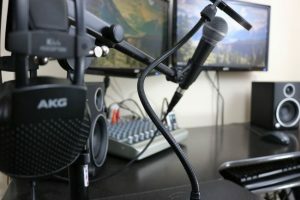 Thus, I personally use and recommend using hardware-based setups for recording podcasts and software for editing them. Again, I don’t know what will work best for your situation. The following options are an overview of the different pieces you may want to consider. Note: My setup has changed a lot over the years and I’ve stopped using pieces of equipment that I previously recommended (as detailed below). 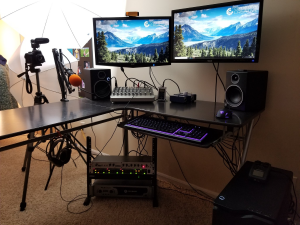 Factors I take into consideration when creating my podcast studio setup include quality, ease of use, the space it takes on my desk, and the quality-to-cost ratio. You can view my personal setup and other setup suggestions on my Kit account. You can also sign up for my short email series on equipment at EquipmentforPodcasting.com. When it comes to microphones, it is important to consider the difference between dynamic and condenser mics. Dynamic mics are more affordable, rugged, and direct. Condenser mics are typically more expensive, fragile, and sensitive. Many people suggest condenser mics over dynamic mics, but I disagree with this for a few reasons. The main reason is that a condenser mic picks up EVERYTHING. Unless your recording area is a professional sound booth, a condenser mic will pick up creaky chairs, computer fan hum, cars driving by outside… you get the idea. Dynamic mics are perfect for recording in less than ideal settings like home studios. They offer quality sound with a higher degree of control over room noise. Nice sound for the price point. 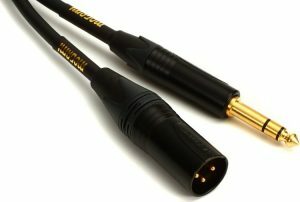 XLR (for plugging into a mixer) and USB (for plugging into a computer) outputs. Trustworthy company. This is the industry staple for live performances. Reasonably priced, high quality, and very durable. This would easily fulfill your podcast needs. This is one of the best rated dynamic mics around. Used by successful podcasters like Pat Flynn of Smart Passive Income, John Lee Dumas from Entrepreneur on Fire, and Cliff Ravenscraft from the Podcast Answer Man. This is another very popular choice used by podcasters like Joe Rogan. It has grown in popularity over the past several years. This mic should be considered if you record a lot in the field or on location. While it is a condenser mic, its purpose is to capture audio in the field. It’s the same mic Alex Blumberg used in the first season of StartUp. This mic works well for many videography setups as well. 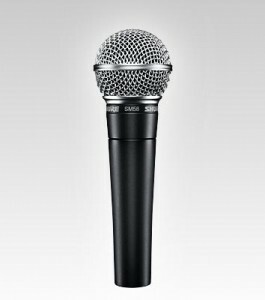 Personal Thoughts: While most people suggest the high-end options like the Heil PR-40 and the Shure SM7B, that’s not where most people need to start. I use the Shure SM58 for all of my vocal recordings and have never had an issue. It’s the same mic I’ve owned for 10+ years, from when I started gigging as a musician to podcasting for over 5 years. It has a great sound and an even better price point. For about $100, you can’t go wrong. *Don’t forget to pick up some mic filters or pop screens to help give you a clean sound. The inexpensive Nady Pop Filters or a foam cover should work just fine. You need to get your audio into your computer so that interview guests can hear you. For years, I did this using a Mackie mixer board. I recommend one of the following mixer boards, depending on how many inputs you need. I like these because they are simple and affordable. Some come with digital effects built in which I don’t find helpful because I want to record the cleanest sound possible. All of the real editing and effects are done in post-production. I also found the USB versions unnecessary because I used a mix-minus setup to send and return audio to and from the computer. Mix-minus is a way for you to send the guest you’re interviewing the audio from all of the mixer channels you’re using, except his or her own. This eliminates any feedback looping. Make sure you have at least one AUX input/output. Besides the quality and dependability, these all have at least one AUX channel. Having an AUX channel is necessary for recording interview guests over the computer via a mix-minus setup. Another way to get audio from your microphone into the computer is through an audio interface. I recently had a friend let me borrow his Focusrite Scarlett 2i2 and I was immediately sold. It’s small, easy-to-use, and has a great sound. 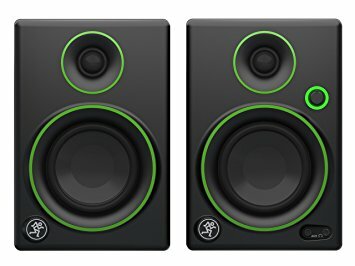 This is a great and affordable option for most people’s studio setups. Personal Thoughts: I used a mixer board for over 4 years. It was a great solution, especially for recording with multiple people in-studio. However, it had a few downfalls. All of the audio was recorded onto one channel. This meant that my guest and I were recorded on one audio track. If my guest coughed while I was talking, it was recorded on the same track and was very difficult to get rid of. Mixers are big. The mixer took up a lot of space on my desk compared to the Scarlett and for someone who likes tidy spaces, this was a problem. Mixers are more technically challenging. They are a pain if you’re just starting out. You have multiple places to tweak the audio and input cables. If you don’t have a background in audio, they can be overwhelming. Mine got fuzzy. After using mine for several years, it started to produce an electronic buzz sound. I think it was from dust getting inside the device. For all of these reasons, I retired the mixer from my setup and replaced it with the Scarlett 2i2. Fortunately, many excellent and comparable recorders exist. When purchasing a recorder, you’ll want to consider things like how it will be used (in the field, in the studio, or both) and what kind of features are “must-haves.” The best thing to do is to ask others who have experience with specific models, but the following devices are a good place to start. Roland makes excellent products and the R-05 is one of them. My two favorite features of this recorder are its size (slightly larger than a pack of cigarettes) and the record/pause feature. This feature allows you to pause a recording instead of completely stopping and starting a new one. The major downside is that it doesn’t have an XLR mic input. I retired it for this reason. This model is used by Alex Blumberg in recording his podcast StartUp. The Tascam offers a durable construction, two XLR inputs, and two sets of microphones for cardioid or omnidirectional pickup. Zoom is another brand that has grown in popularity over the years and is used by major players. The main difference between the H5 and H6 is that the H5 has two XLR mic inputs and the H6 has four XLR mic inputs. Also, avoid the H4. It has a few serious design flaws that the H5 resolves. Personal Thoughts: I owned and used the Roland R05 for years. Its compact size is its strongest feature. However, I recently replaced it with the Zoom H6 (for in studio) and the H5 (for in the field). Also, the Zoom H6 has the availability to run a mix-minus (described above) while recording the host and guest track on different channels. This was the other reason why I retired the mixer from my setup. 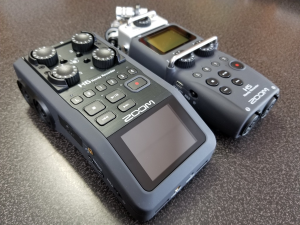 The Zoom H6 has now replaced my previous digital recorder and mixer board. Bonus Tip: If you’re a videographer, a digital recorder is a great addition to your tools for capturing audio. Make sure your choice can fit into your existing setup. Also, if you don’t have an audio input jack on the computer you use for interviews, you will want to buy a device like the Griffin iMic. This will give your computer the ability to send and receive audio. Note- I include exactly what cables you need to buy on my Kit examples. The DBX 286 is one of my newer purchases. It provides the gain boost my mic needs and it offers additional features to improve the sound and reduce my workload in post-production. This works very well with mixer setups. This unit is a simple solution for increasing your gain and improving your sound. 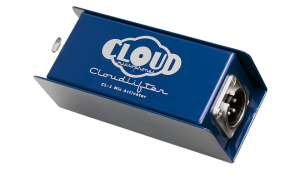 I recommend these to all of my clients starting podcasts and I personally own the Cloudlifter CL1 and the Cloudlifter Z. I anticipate Cloud Microphone and their Cloudlifter series quickly becoming a major player in the podcast space. I don’t personally own this unit but it’s used and trusted by several of my friends. Think of it as a better, slightly more complicated version of the DBX 286. Plus, it has wonderful sounds of tube-driven goodness. Personal Thoughts: Start with the Cloudlifter CL1. Its sound, quality, simplicity, and cost make it a no-brainer. Go with the Cloudlifter Z if you are more experienced and really want to dial in your personal sound. The DBX 286 is a great solution for mixer board setups or if you want to control more aspects of your sound in pre-production. It’s worth noting that these devices can be used together. You should always wear headphones when recording and editing your podcast. The kind you typically find at the department store probably aren’t good enough. Try to find a pair of headphones that are used for monitoring like the Sony MDR7506 Professional Large Diaphragm Headphones. I personally use the AKG K 44s but they are harder to find. Basically, choose some headphones that are comfortable and have a good sound. This is another area that’s up to your preference and budget. I personally own the Mackie CR series. The Mackie MR series is a good step up as well. I don’t have personal experience with the Yamaha HS series, but they have good reviews. Again, pick what works best for you. I used basic desk stands and boom mic stands for years. However, I recently switched to a boom arm stand to open up more space on my desk. Rode makes a high-quality version and Neewer makes an inexpensive version. I own the Neewer version and it works just fine. Simply put, this device helps remove unwanted room noise and prevent noise from being too loud. The more you work with audio, the easier it becomes to hear the differences and appreciate a tool like this. I no longer recommend the Behringer unit. Its performance after 2 years of owning it is sketchy at best. Bypass purchasing this unit and opt for the DBX 286 (which gives you many of the same features in a better unit anyway). A device like this is needed if you have more than one person recording in the same room. It splits a single audio signal into multiple channels so that more than one person can listen on headphones. Many headphone amps exist and the one you want will depend on your budget and how many people you have in the studio with you. Although this unit is popular, I don’t like it. Its construction is cheap and it produces a quiet electronic hiss in the headphones. Try something else. Equipment for Podcasting – Go here and opt-in to receive several emails from me that further explain what equipment to buy depending on your situation and needs. Podcast Bytes – This is my newest podcast where I answer your podcast questions one episode at a time. Come Alive Creative – Want the benefits of a podcast but don’t have the time or resources to start one? You don’t have to be the expert! My team is your turnkey solution for planning, producing, promoting, and measuring the progress of your podcast. Come Alive Academy – This is my educational membership site. Learn how to podcast with our different resources and courses. Otherwise, drop me a line! You can reach me on Twitter or at my personal site. Dear Sir, I am not a pod caster perse’. I create software instructional videos. My set up is as follows: Sennheiser MKH 416 mic to a Zoom H6. I want more control on pre-production, as post production is very time consuming for me. My DAW is currently Reaper, although I am looking into Reason software. Question: Can I use the H6 with the DBX286? Use the H6 as a back up recorder and simultaneous interface? Sennheiser to DBX to H6? I’m not 100% because I don’t personally use the Sennheiser or Reaper. That said, the mic should work with the Zoom. The only difference is I’d record from the mic to the Zoom and then use the lineout on the Zoom to send the audio to your DAW. Hope that helps. I really appreciate this information as I am looking into the setup I want to create in my man cave/office but I got a little confused and was wondering if you could clarify something. 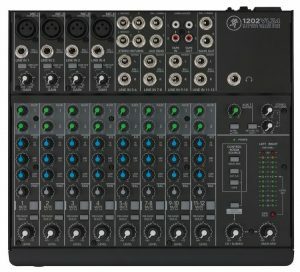 You recommend a mixer such as the Mackie but later recommend the interface Focusrite Scarlett 2i2 saying in your personal thoughts that you no longer use a mixer? If the interface is all I need, than I don’t need the mixer? See where I am confused? I want to be sure I am getting the equipment I truly need. Again, I want to set up my podcast area with the equipment I need for the next couple years without thinking about it. Thanks for any and all feedback. I truly appreciate it. Thanks for reading and sorry for the confusion. Podcasting is all I do anymore so I’m actively trying new equipment and set-ups. I had a Mackie board for years and used it to record remote interviews via mix-minus. However, I moved away from it because it would only record the audio to a single channel. Now I use a Zoom H6 to record remote interviews via mix-minus still. 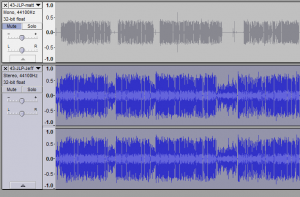 The difference is I’m able to record my audio on one channel and the guest’s audio on a separate channel. This allows for more editing control in post-production. Last, I use the Focusrite for most of my video chats and calls that aren’t podcast related. Send me a message via the contact form if you have more questions. Thanks for the advice – it helps a lot. Do you perhaps have a description/video/blog somewhere on how to setup the Zoom H6 and/or Focusrite Scarlett 2i2 for such mix-minus interviews? It feels like I have looked all over the internet, but can’t find anything specifically for Zoom H6 and the Scarlett 2i2 (or what is available, tends to involve lots and lots of other cables and equipment, such as an iRig 2). This link might help with the mix-minus setup: https://podcastbyte.com/how-do-you-set-up-mix-minus-on-a-zoom-digital-recorder/. I don’t have any videos available yet. In terms of software, Pro Tools is one of the best options (though it can be overkill for some). The most important thing is to pick a software you’re comfortable using and that is capable of the work. I am turning my old music recording gear into a video podcasting setup. Since I have to buy lighting and other gear, I’m choosing to use my old Alesis firewire mixer to record my 3 mics into Logic. While I know “direct to computer” isn’t recommended, this does give me each mic on an individual track, with way more processing power than I need for compression,eq, filters, in a very professional editing environment. Are there downsides I need to consider here? Or can I move ahead with this, as long as I plan to upgrade later to a external recorder? Thanks for reaching out! I don’t personally have experience with that setup and it sounds like you’re already aware of potential issues I mentioned. At this point, use what you have and you can always upgrade later. I would focus on only the Shure SM7Bs, Cloudlifters, and Zoom to start. I barely use the DBX anymore and the Focusrite is only for my video meetings or when I’m being recorded on other people’s shows. I never use it for recording my own show. Hope that helps! Hi Jeff – thanks for the response. Since leaving this message. I’m swaying more to the Zoom F4 or the Sound devices MixPre-6 and the Shure SM7Bs. That way i don’t need the cloudlifter. I want the most minimalistic set up.